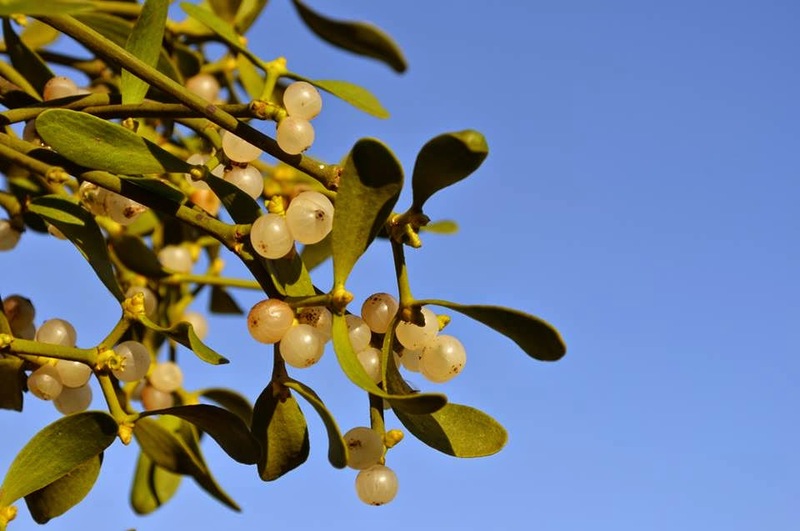 Botanical Accuracy: Kissing under the mistletoe, or is it holly? Kissed someone recently under a mistletoe? Did you check, maybe it was holly? 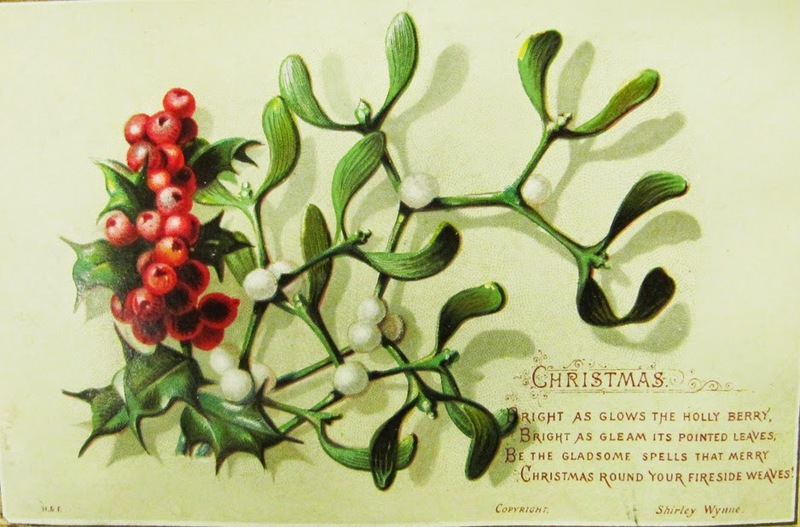 The tradition of hanging a little bouquet of mistletoe in the ceiling or door frame and being allowed to kiss whoever happens to stand under it is an old tradition, and a popular subject of movies, comics, postcards, and general holiday fare in both Europe and North America. 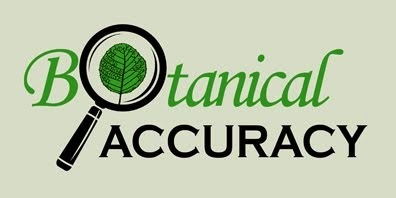 We are currently in what The New York Times calles the "hemiparasite season" in their recent article on mistletoes. No other time of the year provides so much attention to these green mistletoe plants that live on trees, and are often common in Christmas decorations. 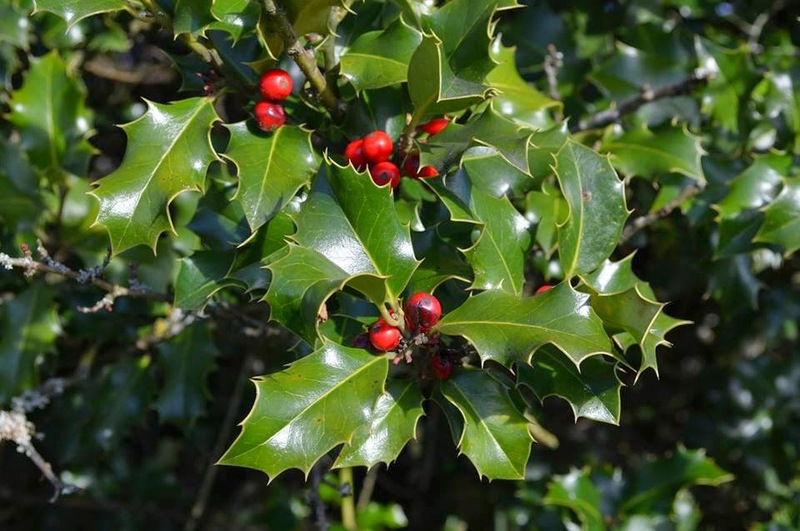 Another traditional Christmas plant is the holly, a shrub that has spiny, dark-green glossy leaves and (usually) red berries. 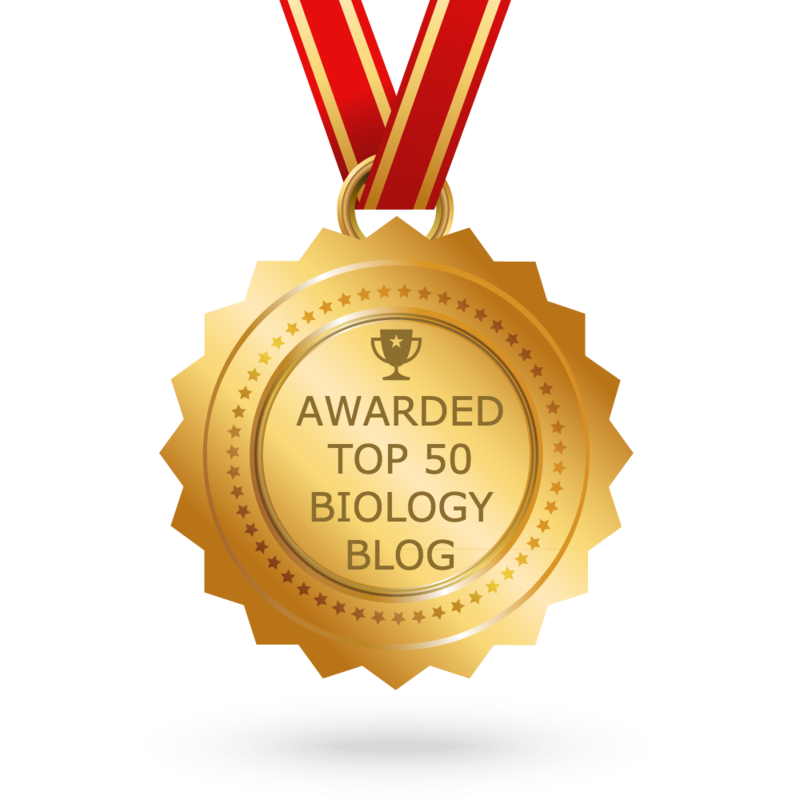 The two are often featured together. and holly (Ilex aquifolium) with red berries. Mistletoes only grow as half-parasites on trees, usually high up in the canopy, and stay green year round. They are easiest to spot in the winter. 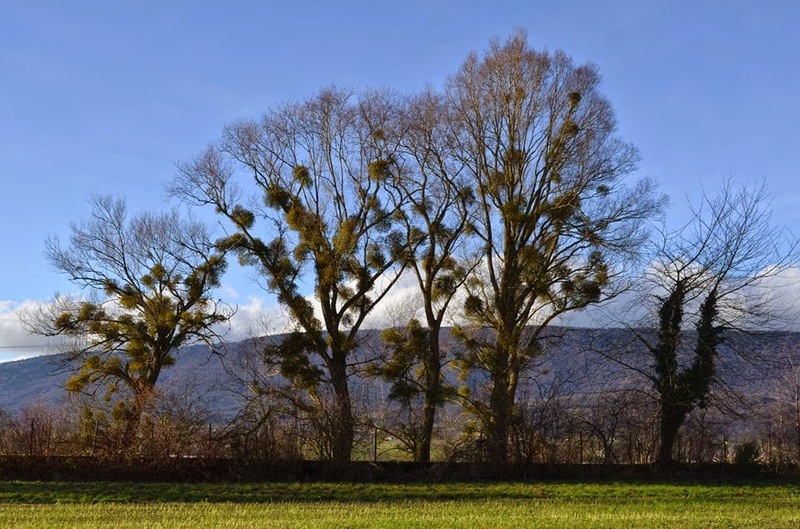 Mistletoes (Viscum album) growing on deciduous trees in Switzerland. Photo © by Jason R Grant, used with permission. Mistletoes (Viscum album) plant from Switzerland. Holly (Ilex aquifolium) from Switzerland. Sweater "Kiss me under the mistletoe" showing holly, not mistletoe. For sale on etsy, see link. Photo © owltheshirtsyouneed on etsy (fair use). Greeting card "Get under the mistletoe" showing holly, not mistletoe. For sale on etsy, see link. Photo © TwistedOakGreetings on etsy (fair use). There are some more examples here, and here, and here. The two plants are nearly impossible to mistake for each other, unless you think each green thing is a green thing and nothing more. Here is a simple table for those of you that want to dig into the separating characters. Note that this table are for the most common and traditionally used species of mistletoes and hollies, and that there are other wild species and cultivars with different berry colors. The user FireFiriel on DeviantArt has clarified it once and for all with a nice drawing.